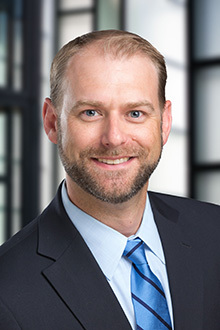 Marc Carlton is a partner in the Portland office of Lewis Brisbois and a member of the Transportation, Toxic Tort & Environmental Litigation, Products Liability, and General Liability Practices. He focuses his practice on civil litigation with an emphasis in defending transportation, liquor liability, employment, and products liability cases, including the defense of former manufacturers and sellers of asbestos-containing products. He also practices in the area of medical device and business litigation. Mr. Carlton was named a Super Lawyer by Super Lawyers magazine in 2015 and 2017 as well as a Rising Star in 2012 and 2013. Mr. Carlton has represented a wide-variety of clients in asbestos litigation in Oregon and Washington for fifteen years, including sellers of joint compound, electrical products and components, friction products, mastics, pipes, and valves. He serves as co-lead counsel on the national asbestos discovery teams for two multi-national companies. In that role, he has overseen company-wide investigations and research related to the historical sale of asbestos-containing products. Mr. Carlton also has organized and developed document management systems to assist in defending against asbestos-related claims, and has been personally involved in training and educating first-time corporate witnesses to testify in FRCP 30(b)(6) depositions. In addition to asbestos and other products liability matters, Mr. Carlton has extensive experience handling catastrophic trucking and bus cases, including multiple wrongful death matters. He is a member of the firm’s 24/7 Rapid Response team and is available to respond to accident scenes throughout Oregon, Washington, and Idaho. Ed Niemi Oil Company v. Exxon Mobil, United States District Court (OR), (2016). Represented the former owner of petroleum bulk plant at the Port of Astoria in cost recovery action filed by the tenant/operator. Tenant/operator sought to recover investigation and remediation expenses and legal fees incurred in responding to Oregon DEQ’s unilateral order. Monterroso v. Stanton, et al.,Multnomah County (OR) Circuit Court, (2014). Represented car hauler and its driver in a series of cases, including Monterroso, arising out a collision between the clients’ tractor and an occupied light rail train. Shill v. Kendall, et al., Multnomah County (OR) Circuit Court, (2014). Represented car hauler and its driver in lawsuit arising out a sideswipe accident. Plaintiff alleged that the force of the impact caused permanent and disabling injuries, including the need for a cervical fusion. Simpson v. TA Operating, LLC, Multnomah County (OR) Circuit Court, (2013). Represented travel center and its repair facility in a claim for negligence and products liability arising out of service performed on a heavy haul flatbed trailer. Plaintiff alleged that the client’s mechanic should have diagnosed a failing wheel seal, and that the seal ultimately failed and caused a wheel fire. Plaintiff was injured when the tire exploded while he was trying to extinguish the fire. Roggow v. Harr, et al., United States District Court (OR), (2012). Represented tanker carrier and its driver in a lawsuit arising out of an accident where the clients’ empty trailer allegedly slid over the yellow center line while negotiating a bend in the road and collided with SUV traveling in the opposite direction. The plaintiff claimed various injuries, including a traumatic brain injury with permanency. Miller v. J-M Manufacturing Company, Inc., et al., United States District Court (OR), (2009). Obtained a defense verdict for a flatbed carrier and its driver in a case arising out of an accident that occurred when a large sewer pipe telescoped and fell off the back of the clients’ flatbed trailer. The pipe was struck by an elderly couple in a motorhome, who each later underwent multiple back surgeries. The defense verdict was based on a showing that the driver had complied with all FMSCA load securement and load check requirements, and that the pipe unexpectedly came loose due to inadequate dunnage supplied by the shipper. Estate of Laux v. Akebono Brake Industry Co., Multnomah County (OR) Circuit Court (2016). Obtained summary judgment in wrongful death/mesothelioma case in which plaintiff alleged the decedent had occupational exposure to motorcycle brakes over a 40-year time period based on absence of product identification and prior release of claims. Estate of Murphy v. Akebono Brake Industry Co., King County (WA) Superior Court (2016). Obtained dismissal in wrongful death/mesothelioma case in which plaintiff alleged para-occupational exposure to motorcycle brakes based on lack of personal jurisdiction. Estate of Nichols v. Kaiser Gypsum Company, Multnomah County (OR) Circuit Court (2015). Served on trial team in wrongful death/mesothelioma case alleging occupational exposure to joint compound on multiple residential construction projects. Case settled after opening statements. Otis v. Pneumo Abex, LLC, Multnomah County (OR) Circuit Court (2014). Served on trial team in living mesothelioma case in which plaintiffs sought compensatory and punitive damages arising out of alleged exposure to brakes on cars and heavy trucks. Case resolved during the second week of trial. Estate of Cornell v. Pneumo Abex, LLC, Multnomah County (OR) Circuit Court (2014). Served on trial team in wrongful death/ mesothelioma case in which plaintiff alleged exposure to brakes during shade tree mechanic work. Case resolved during pre-trial hearings. Estate of Turner v. ON Marine, U.S. District Court for the Western District of Washington (2014). Served on trial team in wrongful death/mesothelioma case. Plaintiff alleged that decedent was exposed to asbestos-containing “hot tops” at a steel mill. Case settled on the first day of trial. Estate of Heidecker v. Kaiser Gypsum Company, Spokane County (WA) Circuit Court (2013). Served on trial team in wrongful death/mesothelioma case in which plaintiff alleged that the decedent was exposed to joint compound while performing occupational drywall and joint compound work. Case settled after voir dire.